The video link for Fees & Donation is given below. 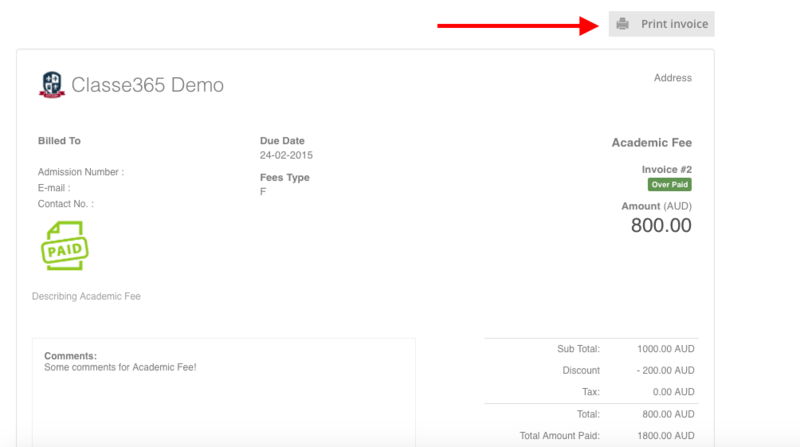 The Fees / Donations module allows you to manage the Fees / Donations. The Fees/ Donations List page is displayed. An example snapshot is shown below. We have introduced a NEW feature of Recurring subscriptions on the dashboard for ongoing payments. Click Add Fees/Donations Tab, Here the user can fill the Fee name, Fee Type, Due date & Description of the Fee/Donation (Optional). We have introduced NEW feature of adding Line items which gives the user more flexibility and control over adding new line items. The user can also send notification emails. The settings for the fees is provided on the left hand side of the page where the user can select the payers based on the Class-section, Subject & Student. Here we also have the option of partial payments & recurring payment. To add an invoice, Click on Fees/Donations list and click on the (+) tab to add an invoice. The user can also search for the Fees/Donations name using the search bar as highlighted below. The user can also make edits to the fees/donations, View invoices,Copy and Delete the invoices. 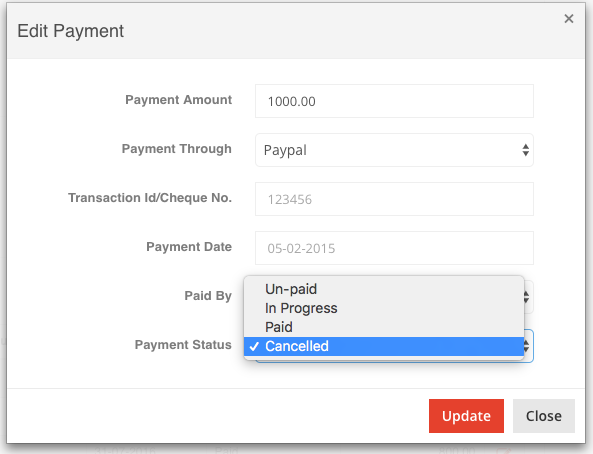 The user can make changes to the payment status by clicking on edit payment details. Note: The User has to update the Stripe account details. We have introduced Recurring subscriptions in the dashboard as part of the new release. 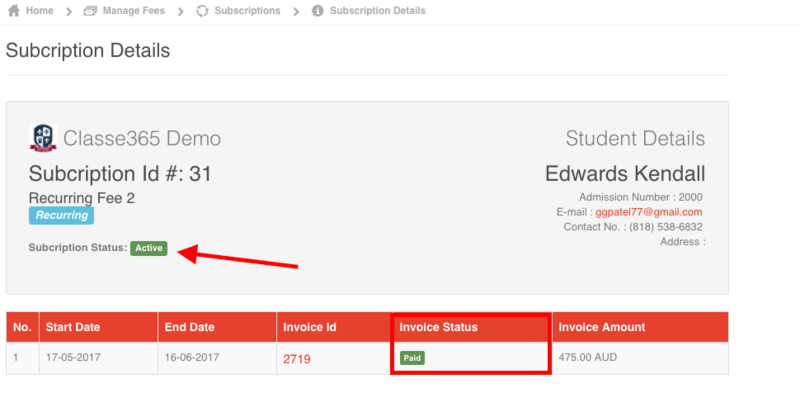 To view the details of the of the subscription, Click on the "i" Icon as shown below from the recurring subscriptions tab. The summary of all the details can also be viewed in the section.